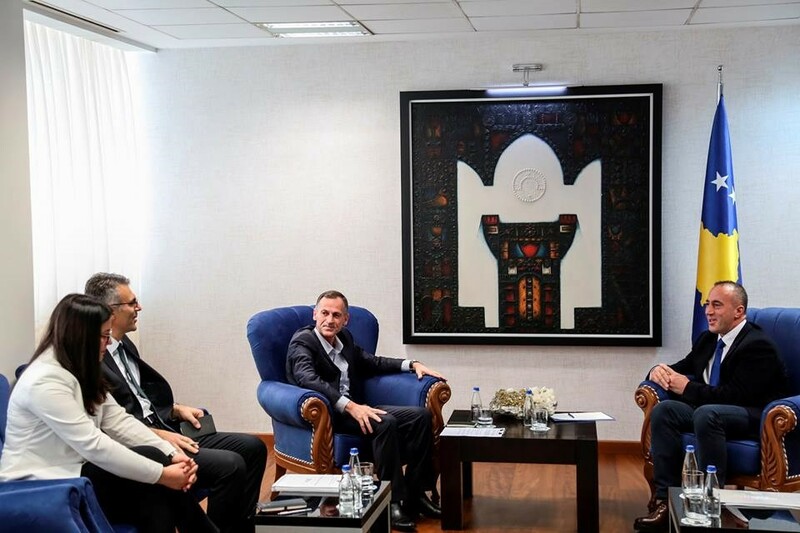 At the request of the Auditor General, Mr. Besnik Osmani today in the premises of the Government, a meeting with the Prime Minister of the Republic of Kosovo, Ramush Haradinaj was held. At this meeting, Mr. Osmani informed the Prime Minister Haradinaj on the work of the Auditor General, as a supreme institution of economic and financial control within the Republic of Kosovo. The Auditor General emphasised his commitment and the auditors of the National Audit Office to fulfill the constitutional and legal mandate in view of ongoing improvement of governance and accountability within public institutions of Kosovo in managing public funds and improvement of the service to citizens. The Auditor General presented the main issues related to the annual financial statements and the identified weaknesses in relation to the compliance of decisions and actions of public officials in relation to the relevant legislation. The recommendations from the audit reports of the National Audit Office emphasise important issues related to the management of non-financial assets, management of public procurement, management of receivables and liabilities, the Auditor General noted. Mr. Osmani also briefed the Prime Minister on performance audits as an assessment when it comes to the achievement of value for money from using public funds and stressed the importance of further improving the efficiency and effectiveness in spending public money. During the discussion, special attention was paid to the low level of implementing the recommendations and lack of a systematic plan for addressing them by Budget Organisations. The Auditor General recommended to Prime Minister Haradinaj that the Government should apply a systematic process of monitoring the implementation of the recommendations given in the audit reports and request from the Government bodies to implement and report on the progress achieved. The Prime Minister Haradinaj praised the work of the Auditor General and the National Audit Office and expressed his interest in a more proactive inter-institutional communication to respond in a timely manner to the progress of the processes and the improvement of governance. He expressed the willingness and commitment of the Government to maintain the institutional independence of the National Audit Office and emphasised his commitment to implement the Auditor’s recommendations in order to strengthen internal control and improve governance within public institutions.